Since Google I/O came about with word of Allo and Duo the might Hangouts seems to have fallen out of favour with folks. Personally, I still love, and prefer the messaging app. It may not have some of the fancier features of Telegram, et al... but I like it. Lately it's updating to Hangouts v.11, and with it comes some new features, and removes an old one. 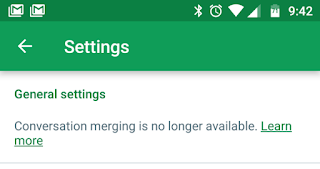 First up, it's losing the merged SMS/Hangouts feature. I used to love this... but we know that Google has another app in favour of SMS, so it was inevitable. Sure, you can still send your text messages through the app, but no longer will it be threaded together. Which is somewhat a relief, as it was a little confusing sometimes to see which way it was being sent. Secondly, it's now adding a feature that apparently iOS has had for some time (but, I've not noticed, as personally this feature doesn't really tickle my fancy), the ability to send video messages to each other... no not a video hangout, but rather sending short videos as attachments to each other. 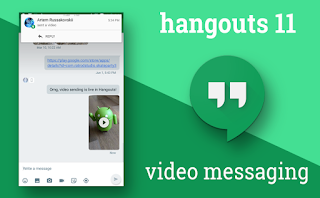 One last feature is that you can now kick folks out of a group hangout ... what excitement that will bring? 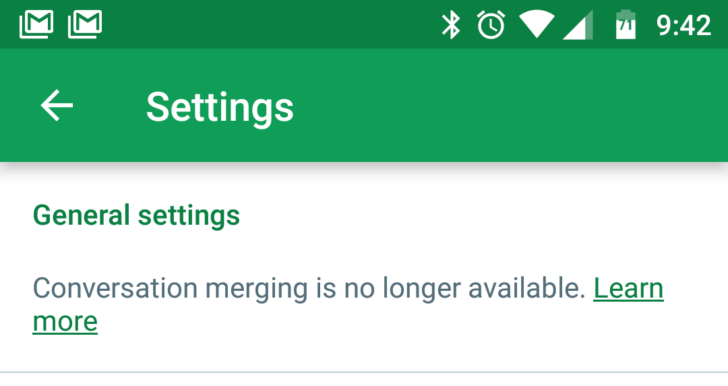 So, something added, something removed... are you excited, or has the excitement of Allo/Duo taken the sweetness out of Hangouts for you? I haven't seen either update to me as of yet... and I doubt I'll notice.